Rotary Park is a hidden wonderland, nestled into residential Cape Coral. Along with a multi-use path, butterfly house and nature trails, the park hosts a place for our four-legged friends to socialize. Wagging Tails Dog Park has something for every dog: lots of green space to run and fetch and even separated areas for large and small dogs. If you leave your furry friend at home one day, be sure to explore the Glover Bight boardwalk trail, a short and scenic humans-only adventure through a mangrove habitat. Lover’s Key has it all. Black Island, one of the park’s main elements, boasts over five miles of multi-use hiking and bicycling trails as well as a scenic estuary ideal for paddling. As you carve through the water via kayak, canoe or paddleboard, look out for manatees, bottlenose dolphins and alligators. 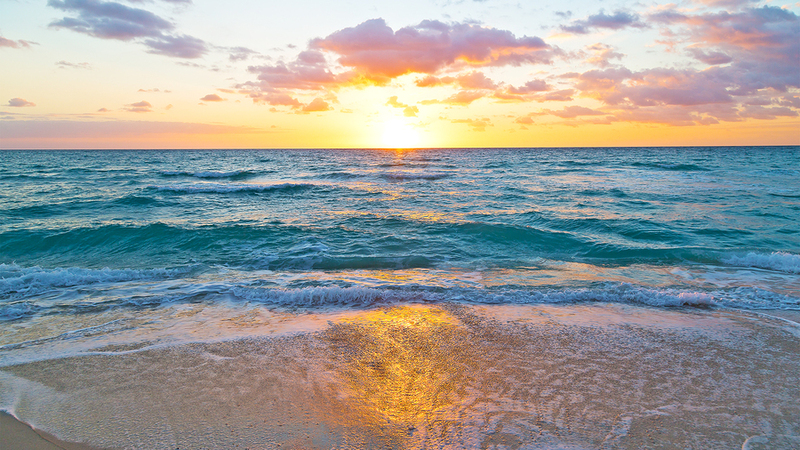 If you’re seeking a more relaxing visit, set up camp on Lover’s Key Beach, a 2.5-mile stretch of sand on the Gulf of Mexico. Stay for sunset and watch pelicans dive into the salty shores. The name says it all: step into Manatee Park for a chance to witness the giant mammals in their natural habitat. Keep in mind this park is a warm-water refuge for manatees, so admire them from a distance. Manatees flock to the area when Gulf of Mexico temperatures reach roughly 70 degrees, so visit during the winter months for optimal viewing. Park visitors can also enjoy fishing, kayaking, walking paths, a butterfly house and picnic area. If you’re lucky, you can spot a dolphin in almost any Southwest Florida saltwater body. But Naples Pier juts into the Gulf of Mexico, providing exceptional viewing opportunities. If you stick around long enough, you’re bound to see a bottlenose dolphin swimming offshore. Gaze out at panoramic views of Southwest Florida’s Gulf Coast or cast a line and wait for a bite. Then, retire to the sandy beach and watch the sun descend underneath the waves. Want to truly escape from it all? Cayo Costa is your answer. This Southwest Florida state park is only accessible by private boat, making it one of the most secluded and scenic places along the Gulf Coast. Snorkel off the coast, explore the trails or lounge on over 9 miles of white sandy beach. At night, cozy up next to the campfire and enjoy the sound of waves crashing on the island’s shores. The kayak trail at Four Mile Cove Ecological Park is both scenic and strenuous. Because of an 800-foot portage amid the paddle, young children are not allowed in kayaks. The eco park also discourages beginners from paddling its water. But Four Mile Cove makes up for it by offering family-friendly activities as well. Walk along the mangrove-bordered boardwalk for a chance to see wading birds. Be sure to stop to admire the statues at the Veteran’s Memorial Area, located on the south end of the parking lot. This preserve will set you back in time. Over a mile of boardwalk winds through Southwest Florida wetlands, providing a tranquil escape from the bustle of everyday life. Tread lightly through the quiet cypress habitat and you might catch a glimpse of elusive Florida wildlife. 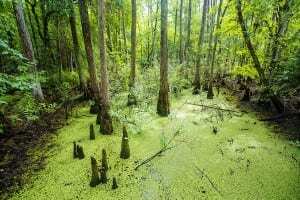 Six Mile Cypress Slough houses boar, black bears, alligators and deer to name a few. Located next to busy Fort Myers streets, the slough makes you forget civilization is just feet away. contact Dave and Brenda of Sage Realtor Group today at 239-896-8549.